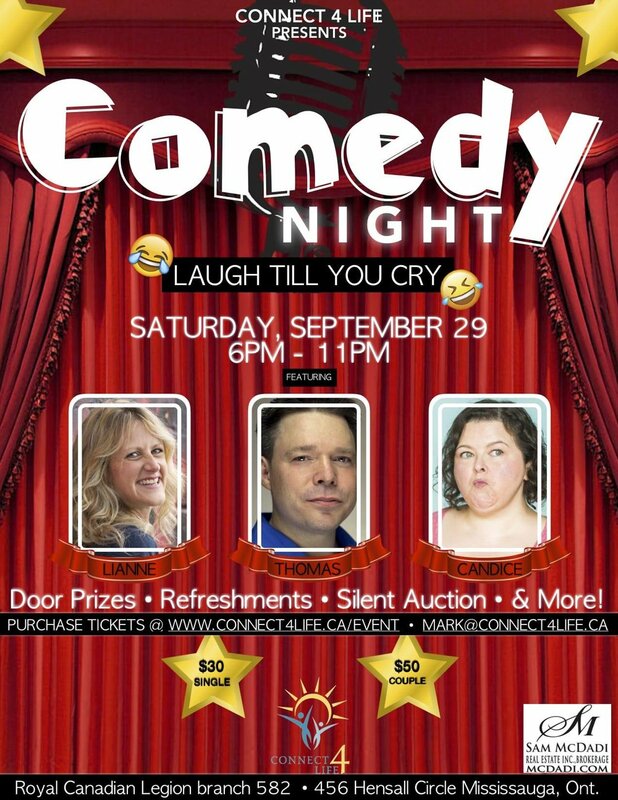 On Saturday, September 29th, Connect 4 Life will be holding our 1st Comedy Night fundraiser. We have a fun packed night planned including a great set of comedians, food, refreshments, door prizes, a silent auction & more. Tickets are $30 each or $50 per couple. We would love your support and hope to see you all there!